Web 2.0 Support Strategies is probably one of the few topics you can talk comfortably about in a business environment that discusses the trends and behaviors of consumers by age. In this article, we will take a look at a study done by the Service & Support Professionals Association and a company called Lithium that reviews trends of support channels and their respective relation to generations. Before we begin, attached are the generations studied in this white paper. The study concludes that not only are younger customers demanding different channels of support and are moving away from the phone support channel, but the findings indicate that in efforts to provide excellent service to current and existing customers, Web 2.0 strategies must be employed in the Customer Service Organization. Attached are some high level facts I took away. Keypoint #1 - Reliance on The Phone Is Declining - Especially amongst younger customers. 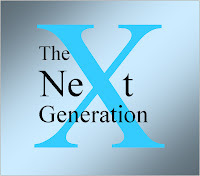 Only 1/3 of Generation X and Generation Y prefer the phone. Only 13% of The Silent Generation considered the phone as a primary channel of support. Keypoint #2 - Alternative Support Channels Rated Just as Good as Phone Support Channels - As seen in Figure 1.0, Support forums rated with just as many excellent scores as Phone Support ratings. While Email & Web Self Service scored the highest amount of responses in the Good and Average categories. Click Chart Below For Full View. Keypoint #3 - Younger Customers Are More Willing To Try New Products - This is evident in the survey evidence in Figure 2.0 below. This means that younger customers are also likely to interact with a web site that is more dynamic. Support sites that are static are less likely to be successful for younger customers and maybe viewed as unreliable. - Young Customers Prefer Peer To Peer Support - Unlike the Traditional approach of utilizing an organization to support it's customer base - young customers prefer to rely on their social networks, forums, and their peers to get support. For the full study, click here to download.